The days of dispatchers spending much of their time attempting to track down drivers are history. Electronic logging devices (ELDs) and other modern technologies have turned today’s dispatchers more into data analysts. Jim Hoss, vice president of Cash-Wa, a food distributor in Nebraska, said dispatch has totally changed from when he began his career 18 years ago. Back then, he could only dream of knowing where all of his trucks were at all times. Tiffany Giekes, vice president of Decker Truck Line, agreed that while trucks still deliver goods the way they have for decades, dispatching has radically changed. Giekes said Decker’s decisions are aided by McLeod Software feasibility function and can involve trailer swaps, shuttle runs, or a team load. The mandatory use of ELDs starting in December 2017 has helped erase some of the headaches dispatchers previously faced. And the data suggests the best driver given a slew of variables, including deadhead miles. 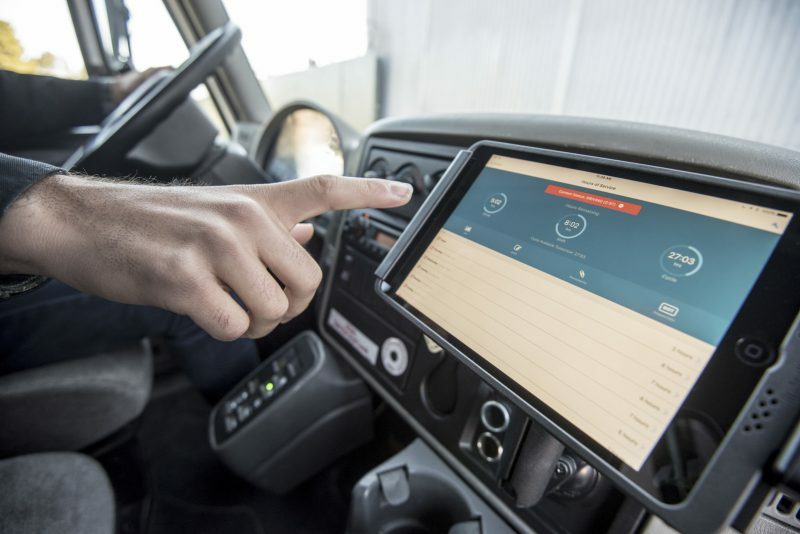 “That used to be a significant black hole because you didn’t have your ELD on their truck,” said Andrew Roszko, senior vice president of Descartes System Group, a logistics management company. That has also been the case with route planning. Dustin Strickland, McLeod’s product manager, said that in the pre-ELD era, fleets would rely on the seasoned dispatchers who just knew about the best routes. Today, computers do such tactical work, allowing dispatchers to delve analytically into what went right and wrong in recent days and to better plan ahead. “Only the very big boys had anything like that when I started in the business 21 years ago,” said Nate Fisher, terminal manager for Williams, a dedicated auto parts shipper. “Now our customers have 100-percent visibility with their freight at all times. They see where their truck is and how long it’s going to take to get there. Five years ago, we were still manually entering the information on our customers’ websites. Jerry Robertson, who used lessons learned during his years at Oracle to co-found software provider Bolt System, said that the trucking industry struggled to accept his company’s introduction of cloud-based dispatch in 2004. According to Robertson, cloud-based dispatch systems eliminate the need for fleets to have information technology personnel in-house or as contractors. These systems also automatically suggest additional shipments for drivers, based on available hours and proximity to high volume shipments within a predetermined workable radius. Samsara is another cloud-based system that launched in 2015. One year later, Cash-Wa made the decision to use Samsara as its sole transportation management provider, after originally hiring the company because of its temperature-monitoring sensors. These newer software programs have eliminated the need for some dispatch jobs because of increased efficiency. Those employees who remain in dispatch are spending more time on route enhancement and customer service. “Our dispatchers have to become more flexible and analytical,” Decker’s Giekes explained. Some of that new flexibility is due to the rise of e-commerce, and the expectation of faster home deliveries.